Cheers to Emma and Chris for the great tucker at my 65th BBQ birthday bash. The burgers, sausages, prawns were delicious and cooked to perfection - no burnt or charcoal offerings, which is what everyone would have got if I had done it!! Mind you, bet you can't play the piano like me!! Thanks for making the night a special one. We had a fantastic day and wonderful honeymoon, just returning 2 days ago. We are still on a high from the whole event, and now enjoying seeing all the photos and hearing all the feedback from the wedding. Firstly, what high service levels on the day and the smooth set up. It was great not to have to worry about this or have any concerns on the day itself. Meeting us at the front of the house with a glass of bubbly was also a nice touch and we noted the constant surveying around the tipis during dinner to ensure that everyone had drinks and food on the table and that everything was ready in a timely manner. The waiting service were lovely and quietly efficient and the barman perfect. Emma, the meal you prepared was absolutely delicious - many thanks. The problem is I have made a real rod for my own back as Gill thinks it was all my own work! Tony and I, and indeed our whole family would like to thank you most sincerely for the part you played in our party on Saturday. The food was absolutely delicious and suited all tastes and you were so efficient. I am told the chocolate mousse was to die for and our vegetarians were really happy with their own supply of goodies. I was so pleased with the food you left in the fridge too as many of the locals called at the house in the evening to see if we had found their presents of garden seats left by our back door. We were able to put everything on our kitchen table and it disappeared! Always a good sign! We had the most fantastic day and we thank you again for playing such an important part. I can't thank you enough for all you put into making our day go so smoothly and so enjoyably. It was not the easiest of environments to cater in, but the food was wonderful, enjoyed by everyone - I will send a proper thank you through soon. 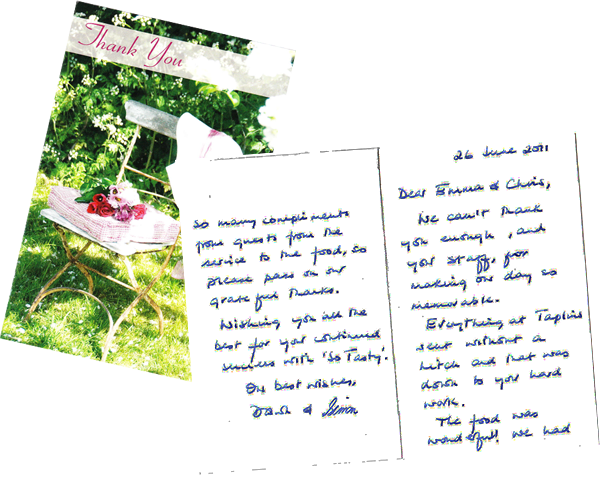 I write to you to let you know how absolutely delighted Marilyn and I were with So Tasty's catering at our 50th and to let you know what a great job Jo, Abi and Elli did for us. They were just as good serving staff should be - attentive and sensitive but unobtrusive and they worked their little socks off for us. Also we cannot praise too highly the food that you served which was much appreciated by our guests. Thank you so much for helping to make our special day so very special. Just a quick note to say Thanks for a great service and lovely food on Saturday. Please pass on my Thanks to Linda and Emily who coped very well in the heat!! 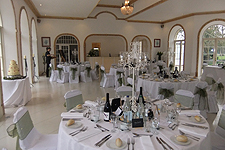 I just wanted to write a quick email to thank the so Tasty team for providing wonderful catering for mine and Kyle's wedding breakfast, and also to the bar staff for continuing to provide great service into the night. I would highly recommend your services to anyone who is planning a big important event. Our day remained stress free and that is in part down to your team. Chris thank you so much what a great great day and lots of compliments about the food - especially the duck!! Your team were great and you seemed so calm all the time. Fabulous. We managed to hunt around for glasses yesterday and managed to find loads of them - no surprise really - although some of them did seem to travel a long way. Anyway off to Italy for some sunshine and more lovely food and speak to you when we get back. Hope you and Emma are well and you had a good birthday weekend. I posted your table leg extenders yesterday, so they should be with you in the next couple of days. 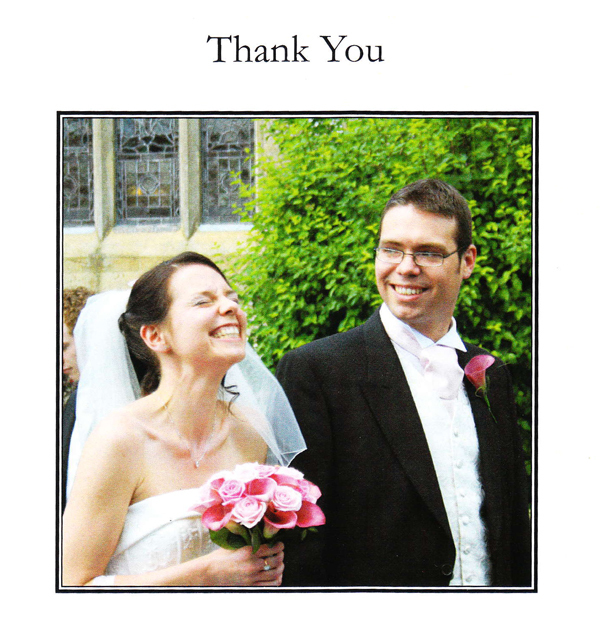 I just wanted to drop you an e-mail to thank you for everything you did for Sarah and Andy’s wedding celebration. 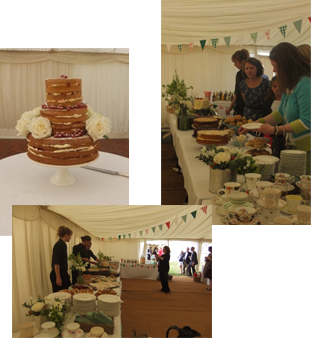 The food was delicious (and yes I did eat all of the cake you saved me!) and completely fitted with the theme of the day. Just as importantly from my point of view, though, was the fantastic service you provided. I was so impressed with all of your staff and how they worked as a team and used their initiative. It was also great to see that my schedule actually seemed to be of some help and was used on the day - so many times I send out schedules and it seems they’re completely ignored and I spend half my time telling the caterers when things should be going out or what’s happening next! I also want to thank both you and Emma for the time you took meeting with us throughout the planning process. 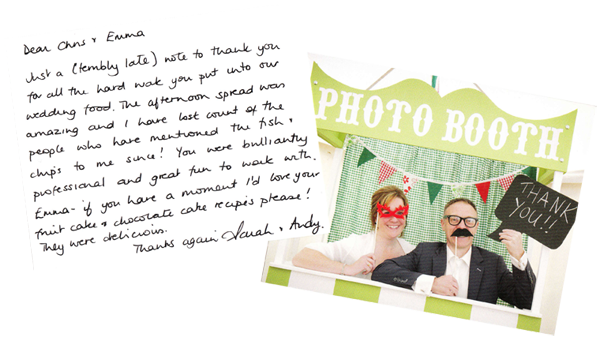 It really was so important to Sarah and Andy that they had a caterer that understood what they were trying to achieve for their day, and from the first meeting I know you instilled them with confidence and reassurance – the homemade mini pasties were the icing on the cake! From a personal point of view, I’d also like to thank you for the time you’ve taken to answer my e-mails and phone calls over the last few months, as this really did help to ensure that everything ran so smoothly on the day. I would be happy to recommend you to future brides without hesitation, and I very much hope we have the opportunity to work together again soon. Best of luck for the rest of wedding season! I would just like to express my sincere thanks for all you did on Saturday for my husbands memorial service. The waiters and waitresses were very well organised and couldn’t do enough to help and the food was absolutely outstanding. Everyone commented on what a superb array of food was offered. At such a difficult time it was a big help to have you there handling things and I will have no hesitation in recommending you in the future. 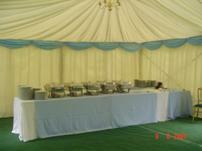 We would like to thank you so much for all your help and unobtrusive service on Saturday and the wonderful food. It helped to make it a very relaxed day and was enjoyed by everyone. Just to say a belated huge thank you to you and your team on our Daughter's wedding day. You personally were always very helpful and relaxed in a professional way in guiding us through what we wanted. Your team on the day headed by Kiri were excellent. We could not have asked for more. 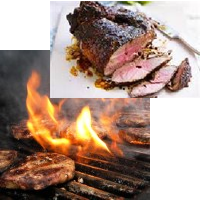 Looking forward to sampling your excellent BBQ again at our Bentley event later in the year! 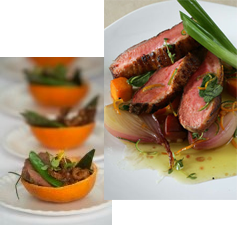 "So Tasty provided catering for our wedding and we were very happy with the service given both before and during the day. Their guidance was invaluable. Many people have since told us how it was some of the tastiest wedding food they had ever eaten. 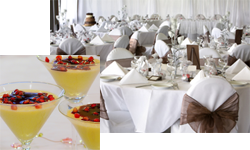 So Tasty were friendly, responsive and professional; what more could you ask for!" 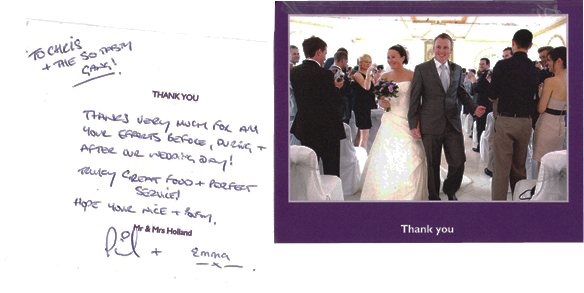 Just a quick email to thank you for all your efforts at our wedding, the food and the service was genuinely first class. 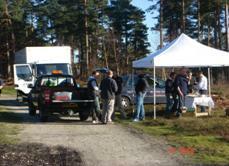 It made a major contribution to a fantastic day and took a lot of stress out of proceedings which was much appreciated. The Best Man did a great job all round, including picking us up from honeymoon yesterday! The best of luck for the future with your business, I’m sure you’ll go from strength to strength and I am happy for you to use this as a testimonial! So many thanks to you both for providing a wonderfully personalised service that made our wedding celebrations every thing we had hoped for. 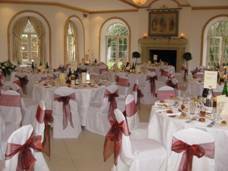 Your attention to detail, both on the catering side and the overall running of the venue and schedule, helped to fulfil our vision. Ourselves, our families and our guests had a relaxed and memorable day, thanks to your expertise and fabulous staff. We have already recommended you to another couple we met at Mellow Farm the next day, who will be hosting their wedding there in August. We could not speak highly enough and sincerely hope that the business comes your way. Thank you again for helping to create our day. Many, many thanks and I hope we see each other again. Thanks ever so much for your fantastic work on Saturday. The whole evening flowed so smoothly - you made it look effortless, which means you and your staff were probably working really hard. Everyone raved about the food over and over again! And the dressed tables looked fantastic. Your staff, too, were very friendly and professional. What a great evening... it wouldn't have been possible without you and your team. We'll definitely recommend you to anyone looking for a caterer or provide you with a testimonial if you wish, just say the word. 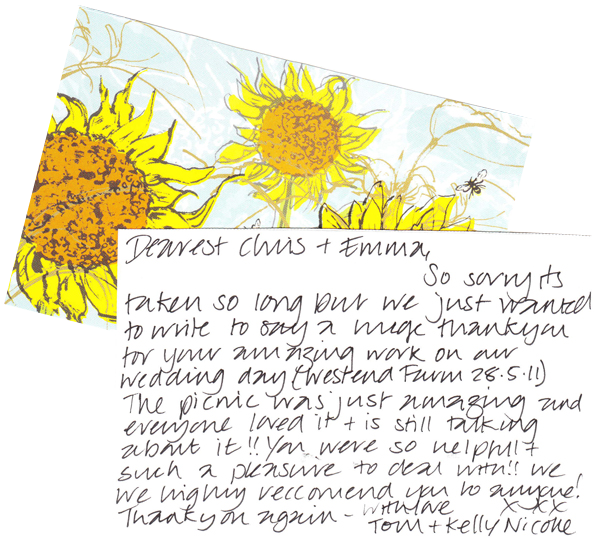 Our wedding coordinators, Matt and Claire, also commented on how impressed they were with your service and that they would recommend you in a heartbeat. Again, we can't thank you enough!!! I had the best party ever! Many thanks for the lovely food you provided. Apparently the brownies were historic! 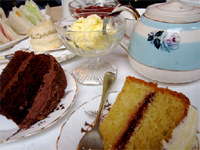 So Tasty have worked for us all over the country since April 2007 supplying outside catering from trailers, marquees and in our own hospitably unit. 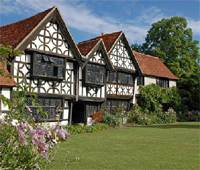 Emma and her team offer a friendly and professional service and the food is perfect. 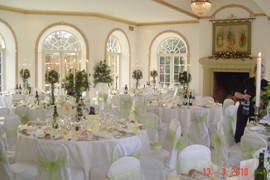 I would be delighted to recommend them to anyone looking for a flexible caterer that can supply quality food and excellent service. Emma catered for our Ruby Wedding party in July. 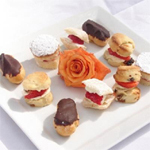 The canapés and finger food was delicious and everyone thoroughly enjoyed it. Chris made sure that the champagne flowed endlessly!! 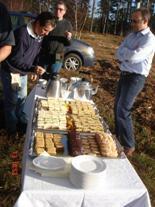 We would certainly ask them to cater for us again..... and again. Many thanks for making our dreadful day easier. Thank you, and Chris, for all your hard work and the fantastic food (bangers, mash and much more), that you supplied for Luke’s party last weekend. The children enjoyed it immensely and the Dr Who Tardis cake was a big hit. Thanks very much. The food was absolutely right for the occasion. 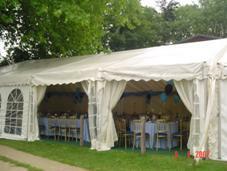 Many thanks again for all your help at the party on 7th July in Hawkley. Look forward to working with you again soon, hopefully! Thank you so much for out delicious canapés. 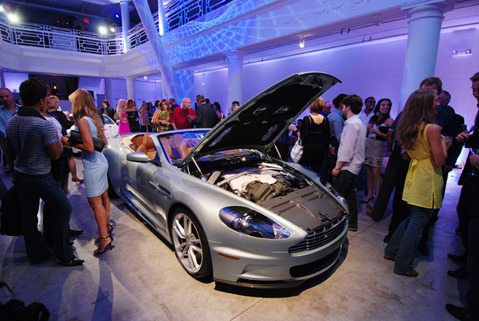 Our Party was a huge success & you and your team were superb and extremely professional. We won’t hesitate to recommend you to all our friends. The compliments on the catering were numerous. Many many thanks. 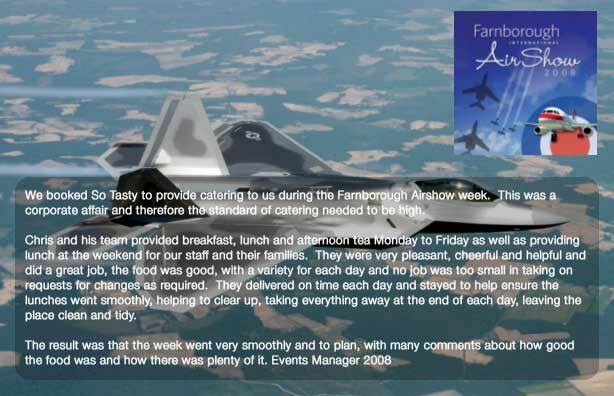 Just a note to say thanks you to you and your team of staff for the superb catering on Saturday evening, everyone was impressed – especially praising the canapés and beef dish. 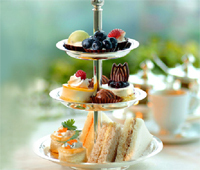 It was a real luxury for me not to worry about the food and to concentrate on talking to my friends. Great thanks for a splendid evening. Everyone spoke highly of the quality and choice of the canapés, and Molly and I were relaxed to spend time with our guests. Thanks for everything – see you when I am 60!! Judging by the amount of people complaining about a written off Sunday I think the boys “Craig and Chris” behind the bar certainly did us/you proud. Thank you for all of your efforts. The girls were great, well presented and never in the way. The food was spot on and you left the kitchen spotless which kept the birthday girl happy. We’re the first off the 10th birthdays and with so many friends in Farnham raving about the food and service I think you will lots more work. Well done, and thank you again.